At least 15 Palestinians including two journalists were injured at the hands of Israeli Occupation Forces (IOF) and settlers during Friday weekly marches in occupied Jerusalem, West Bank, and Gaza Strip. In Ramallah, Israeli forces suppressed Friday afternoon anti-settlement march in Bi’lin town west of the city and another march against Apartheid Wall in Kafer Qaddum village in Qalqilia. Dozens of youths were injured with rubber bullets and tear gas bombs during the attack, local sources reported. A journalist was directly hit in his neck with a tear gas bomb during Kafer Qaddum weekly march, the sources added. Violent clashes broke out in Silwad town and Jalazoun refugee camp. 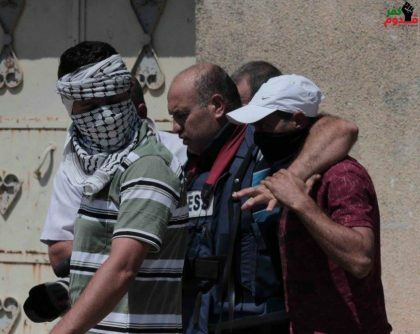 Three Palestinians including a journalist were injured during the reported clashes. Local residents also suffered tear gas suffocation as Israeli forces fired a barrage of tear gas bombs towards their homes. At least five family members including children and women were taken to hospital following the attack. In Tulkarem, a group of settlers attacked a Palestinian vehicle near Anab checkpoint east of the city. Two Palestinians were injured during the settlers’ attack. In Nablus, clashes erupted as Israeli forces stormed Beit Furik town amid heavy fire of tear gas bombs. No injuries were reported during the confrontation. Similar clashes were reported in Alezariya and Abu Dis towns east of occupied Jerusalem. Fire erupted during the clashes due to the excessive use of teargas bombs. In Gaza Strip, clashes broke out in Nahal Oz military site east of the Strip. Three youths suffered live bullet injuries during the confrontation. Israeli soldiers resorted, Friday, to the use of excessive force against the nonviolent protesters in Kufur Qaddoum village, in the northern West Bank district of Qalqilia, shooting a journalist with a gas bomb in his head, and causing dozens of residents to suffer the effects of teargas inhalation. Morad Eshteiwy, the coordinator of the Popular Committee in Kufur Qaddoum, said the soldiers assaulted the nonviolent protesters, just after they started marching from the center of the village, and fired gas bombs at them, leading to clashes. soldiers fired more gas bombs, concussion grenades, and rubber-coated steel bullets. Eshteiwy added that one of the gas bombs struck a photojournalist, identified as Nidal Eshteyya, in the back of his head, before medics rushed him to Rafidia Hospital, in the northern West Bank district of Nablus. He also said that the soldiers fired dozens of gas bombs at the protesters, and many homes in Kufur Qaddoum, causing dozens of residents, including five family members, to suffer the severe effects of teargas inhalation. The army also sprayed the protesters, and many homes with wastewater mixed with chemicals. Local sources in the village said the soldiers have recently started a very serious escalation campaign against Kufur Qaddoum, especially by deliberately destroying water pipelines and electricity networks, in addition to installing roadblocks and restricting the freedom of movement of the residents. Kufur Qaddoum residents started their weekly protests more than 13 years ago, after the army completely closed the village’s main road to enable easy access to the Israeli colonists, driving to and from the illegal Kedumim colony, that was built on privately-owned Palestinian lands. In related news, dozens of Palestinian, Israeli and international peace activists marched, Friday, against the Israeli Annexation Wall and colonies, in Bil’in village near Ramallah, raised Palestinian and Scottish flags to thank the Scottish activists for supporting Palestine during the soccer match between Scottish and Israeli teams. 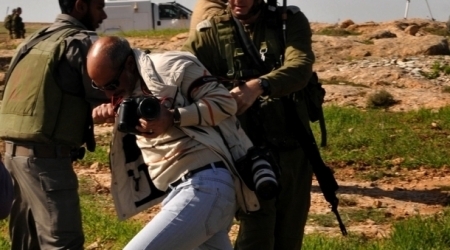 Israeli occupation forces reportedly committed 51 violations against Palestinian journalists during August of 2016 , the government media office stated. According to Al Ray Palestinian Media Agency, a report published by the office revealed that Israeli forces detained eight journalists, holding four in custody, and served a summons notice to one journalist. Israeli authorities recently renewed the administrative detention of four journalists and the actual prison sentence of two journalists. It also documented five cases of abuses committed against detained journalists. 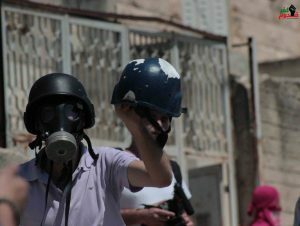 Additionally, it documented seven cases of injury, regarding four female journalists, involving gas grenades and fire. Israeli forces also banned five journalists from covering events and travelling, one of them from Gaza. The report also documented the closing of one local radio in the occupied West Bank, the raiding of two media institutions and the storming of nine houses where Palestinian journalists resided. It also reportedly seized media staff equipment. The Israeli occupation forces (IOF) at dawn Thursday kidnapped Palestinian journalist Osama Shahin, head of the Palestinian Prisoner Center for Studies, from his home in Dura town, southwest of al-Khalil city. According to his family, Israeli soldiers and intelligence officers broke into and ransacked the house, interrogated Shahin for over one hour before confiscating documents related to his work and taking him in handcuffs to an undeclared place. The Palestinian Prisoner Center for Studies strongly denounced the renewed arrest of its director, Shahin, affirming that he had been released last March after he spent one and a half years in administrative detention, with no indictment and trial. Spokesman for the center Riyadh al-Ashqar said that Shahin was arrested once again due to his active role in defending the rights of prisoners in Israeli jails, appealing to human rights groups to intervene to have him released immediately. The Palestinian Prisoners Society (PPS) has reported that Israel is holding captive 25 Palestinian journalists, including seven who are imprisoned under arbitrary Administrative Detention orders, without charges or trial. The PPS said the Israeli Authorities are holding seven journalists under Administrative Detention, without charges or trial, except for the alleged “secret files,” that neither the detainees nor their lawyers have access to. 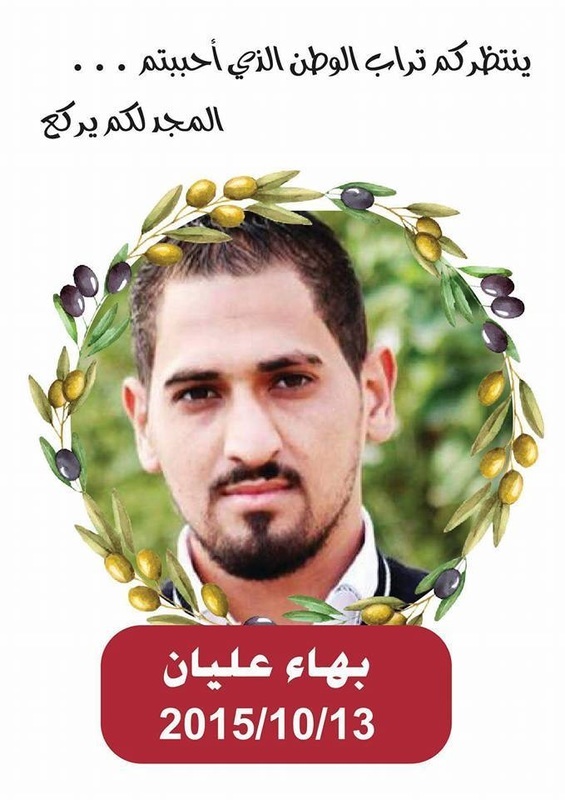 One of the journalists who are held under Administrative Detention is Malek al-Qadi, a journalism student of the Al-Quds University, who is also holding a hunger strike, protesting being detained for the 49th consecutive day without charges. Al-Qadi is currently at the Wolfson Medical Center, facing very serious health issues and complications. 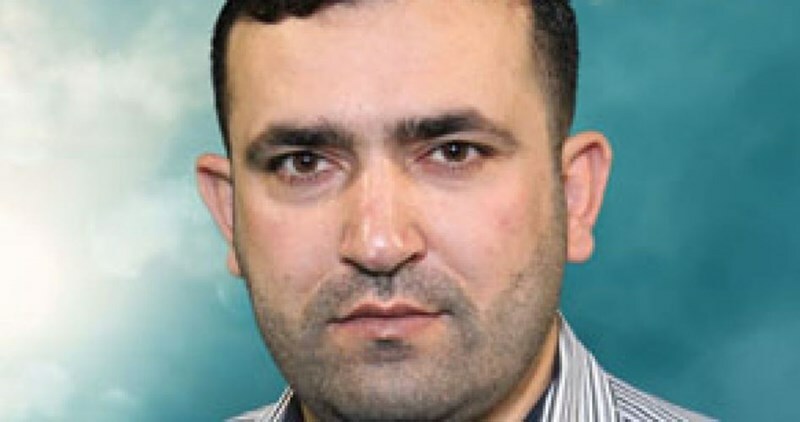 The PPS added that detained journalist, Nidal Abu Aker, held several hunger strikes; he was abducted last month on August 9th, and was previously imprisoned by Israel for thirteen years, including nine under Administrative Detention orders without charges or trial. It also stated that the following detained journalists have been receiving repeatedly renewed Administrative detention orders; Hasan Safadi, Mohammad Hasan Qaddoumi, Omar Nazzal, Adeeb al-Atrash and Ali al-‘Oweiwy. In addition, the PPS said that Israel is also holding captive 18 additional journalists, some of them were sentenced to various prison terms, and others are still under interrogation. The longest-serving journalist is Mahmoud Mousa Issa; he was kidnapped 22 years ago and was sentenced to life in prison. A Palestinian family from Jerusalem managed, on Thursday at dawn, to hold a funeral and burial ceremony for their son, who was shot dead by Israeli soldiers 324 days ago, after he, and another Palestinian, reportedly killed three Israelis in Armon Hanetziv colony, built on Palestinian lands in Jabal al-Mokabber town, in Jerusalem. The Israeli army imposed severe restrictions and installed many roadblocks, in addition to preventing the Palestinians, and journalists, from documenting the funeral and burial ceremonies, at the Mujahidin Graveyard, in Salaheddin Street, in Jerusalem. The Israeli military only allowed 25 Palestinians to participate in the funeral, after subjecting them to extensive and provocative searches, in addition to confiscating their phones. The Israeli military and security forces have tried, for several months, to pressure the family of Baha’ Oleyyan, 22, into burying their slain son in previously determined locations, including the West Bank, and tried to limit the number of funeral participants, but the family kept rejecting the Israeli preconditions. Baha’s father said it was very difficult for the family to identify their slain son, especially due to postmortem issues, including skin color, face and eyes, and added that the corpse was not frozen, but very cold. The Wadi Hilweh Information Center in Silwan (Silwanic) said the soldiers imposed a very strict siege on all roads surrounding the graveyard, especially Salaheddin Street, Sahera Gate and Sultan Suleiman Street, and prevented the Palestinians from entering these areas for more than three hours. It added that undercover forces of the Israeli military were also extensively deployed in the area, especially on junctions and roads leading around the graveyard, in addition to closing the Sahera Gate. The soldiers also assaulted many Palestinian journalists, violently removed them from the Sahera Gate and Salaheddin Street, and forced them to stand in the Tribes Gate area. Following the funeral, the soldiers assaulted many family members, including Baha’s father, and refused to allow him to talk to the journalists who had to stand far from Sahera Gate and Salaheddin Street. Eyewitnesses said the soldiers also fired several concussion grenades and sound bombs at many Palestinians, and prevented them from even approaching the Oleyyan family.Israel claims that Elian and another Palestinian killed three Israelis, after one of them grabbed a gun from a bus passenger and began shooting. Israel is still holding the corpses of twelve Palestinians, who were killed since October 1st of 2015, two of them are from Jerusalem. Israeli soldiers invaded, on Wednesday at dawn, the Sanabel Radio Station, in Doura city, in the southern West Bank district of Hebron, confiscated equipment, and kidnapped the station manager and four employees, before shutting the station down for three months. The Sanabel Radio said the soldiers violently stormed the building, and ransacked it, before confiscating broadcast equipment and various electronics, and ordered it shut for three months. The soldiers kidnapped station manager Ahmad Daraweesh, and four employees, identified as Mohammad Sous, Nidal Amro, Montaser Nassar and Hamed Nammoura. They were all taken prisoner after the soldiers stormed their homes and searched them. Israeli military spokesperson Avichai Adraee claimed that the station broadcasts what he called “incitement against Israel,” and that all detained employees have been moved to an interrogation center. Interior Ministry spokesperson Iyad al-Bazm slammed on Tuesday a report by the Human Rights Watch, saying it includes fallacies on the current state of affairs in the blockaded Gaza Strip. 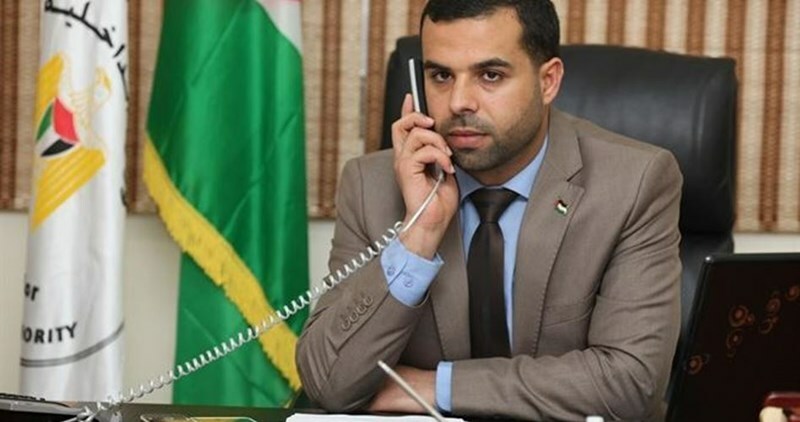 Iyad al-Bazm said the Palestinian Interior Ministry is fully committed to the freedom of expression and of the press and has never carried out arrests on political grounds. He added that no detainee has been held in custody on account of his/her free speech or political activism and that all arrests are carried out on criminal or security grounds only. Human Rights Watch accused the Palestinian authorities in the occupied West Bank and Gaza of arresting and trialing journalists and activists over criticism and free speech. 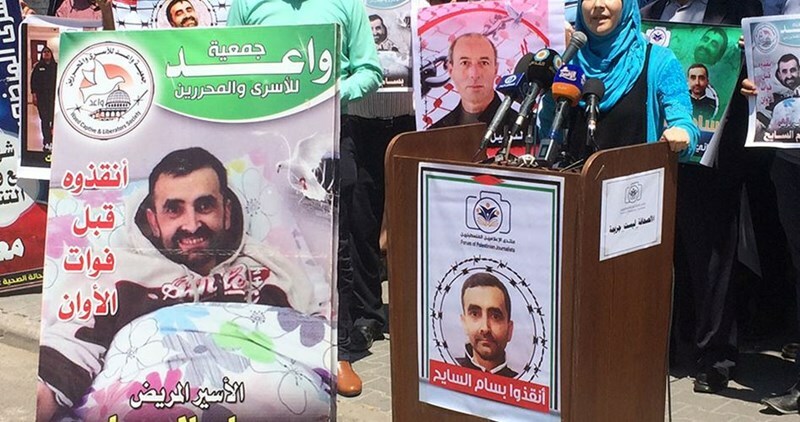 Dozens of Palestinian journalists rallied on Sunday outside the headquarters of the International Red Cross in Gaza in support for the cancer-stricken journalist Bassam al-Sayeh, whose life has sharply deteriorated in Israeli jails. The rally-goers called on the international community to urgently intervene and work on saving al-Sayeh before it is too late. They further spoke out against the harsh torture and arbitrary detention policies perpetrated against al-Sayeh and other detainees. Head of the Palestinian Journalists Forum, Imad al-Ifrinji, sounded the alarm over the critical turn for the worse al-Sayeh’s health has taken. Al-Ifrinji urged the Palestinian Authority, chaired by Mahmoud Abbas, to take up its responsibility as regards the prisoners’ cause. The journalist also called on the mass media to mobilize mass support for the prisoners’ cause at a time when the Israeli occupation forces have been quelling free speech. “The only means to exert pressure on the Israeli occupation is to step up uprisings,” he added, warning of the imminent death of al-Sayeh in case serious steps are not urgently made to save him. Speaking on behalf of the Waed Association, Abdullah Qindil slammed the Red Cross Organization for its apathy as regards such Israeli crimes against Palestinian detainees, dubbing such a position an involvement in crime. 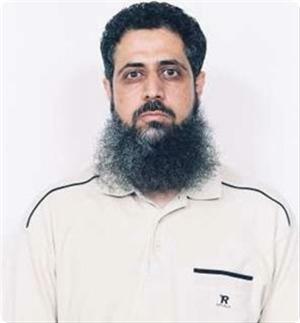 Qindil held the Red Cross and international institutions responsible for al-Sayeh’s life. Spokeswoman for Euro-Mediterranean Observatory for Human Rights, Maha al-Husseini, spoke out against the arbitrary abductions and exhaustive interrogations to which dozens of Palestinian journalists have been subjected in Israeli custody so as to force confession. “The Israeli occupation authority has been preventing detainees from family visits and from their right to medical kit,” she noted. Euro-Med documented a striking surge in Israeli violations and attacks on journalists and their equipment in a serious breach of international and humanitarian laws. In a related context, the Association of Democratic Journalists said journalist Omar Nazal has been on an open-ended hunger strike for the 18th day running in an Israeli jail. Rami al-Sharafi, from the association, also said six Palestinian detainees have continued their hunger strike in protest at Israeli administrative detention policy, with neither charge nor trial. Israeli soldiers invaded, on Monday at dawn, several districts in the occupied West Bank, searched homes and kidnapped at nine eight Palestinians, including six in Hebron. The army also handed demolition orders of two homes in Salfit. 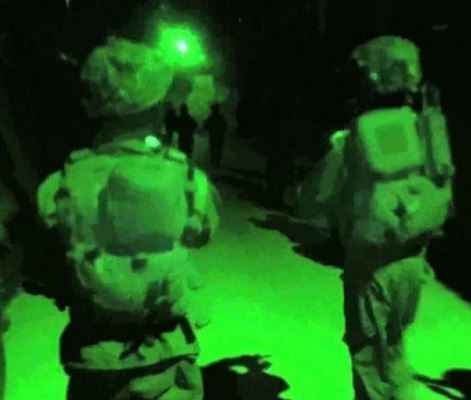 Media sources in Hebron said the soldiers invaded the al-Bayyada and al-Misrara areas, in Beit Ummar town, north of the city, searched homes and kidnapped two Palestinians, identified as Abdul-Jalil Mohammad Ekhlayyel, 20, and Mojahed Sayel Abu Fanous, 19. The soldiers also invaded a number of homes, in various neighborhoods in Hebron city, and kidnapped Nour Hatem Qfeisha, 19, Monjed Nader al-Qawasmi, 21, and Mohammad Yousef Rabba’. The Hebron office of the Palestinian Prisoners Society (PPS) said the soldiers also kidnapped one Palestinian, identified as Bajes Mohammad Abu Ghayyala, from his home in Beit Awwa town, south of the city. It added that the soldiers also invaded the home of a journalist, identified as Lama Khater, in Hebron city and initially wanted to abduct her, but she insisted that she will not leave her infant behind, and the soldiers instead handed her order for interrogation in Etzion military base and security center. The army also invaded several neighborhoods in Halhoul city, north of Hebron, and summoned one Palestinian for interrogation in Etzion. In addition, the soldiers invaded Um ash-Sharayet area, in the Central West Bank city of Ramallah, and kidnapped a young man, identified as Mazen Ramadan, after searching his home. Another Palestinian, identified as Netham Bisharat, was kidnapped from his home in Tammoun village, in the central West Bank district of Tubas. In Bethlehem, the soldiers invaded the city and searched the home of Sabri Ismael Abed-Rabbo, 25, and kidnapped him. In Salfit, the soldiers detained a young man for several hours, and invaded the home of detainee Omar al-Abboushi, before violently searching it. In the Zawiya village, near Salfit, the soldiers invaded the family home of Abdul-Rahman Raddad, who was killed by the Israeli army earlier this past March, searched the property and interrogated the family, before handing them a demolition order against their property. The soldiers also handed a demolition order against the home of detainee Omar al-‘Abboushi, who was kidnapped on May 30th 2016.